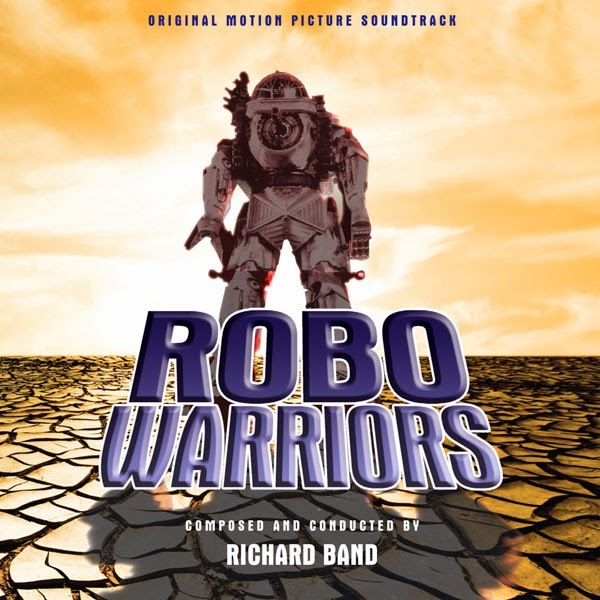 The soundtrack to the 1996 Robo Warriors finally makes its premiere release, courtesy of Intrada. Composer Richard Band was thrilled to release this score, as the composing experience allowed him to combine all the elements for which he loved to compose, all wrapped up in a single package. It has an epic quality, it features huge action and battle sequences, it has romance, and the story is told through the eyes of youth. As a result, Band was tasked with bringing out the gravitas, pathos, adventure, love and honor musically in a single score. The score is composed for large brass section (including 6 French horns!) and synth, giving this sci-fi score a muscular and heroic, yet distinctive futuristic sound. Intrada presents the complete score from the original sessions elements. In 2036, Earth has been conquered by the Terridaxx, a race of half-human, half-reptile beings. But a 12-year-old boy named Zac (Kyle Howard) ignites a revolution when he finds the last great Robo Warrior (James Remar) and convinces him to fight again— setting the stage for the ultimate battle to destroy the invaders and save the Earth. The plot sounds strangely like Ender's Game to me. Very cool poster though.